I have shared in a previous verse (verse 14) about how I lived the first 26 years of my life as a slave to fear, and how God opened my eyes to the fact that Jesus died to free me (and you) from fear. But that freedom didn’t happen automatically. It wasn’t as if the Holy Spirit said, “don’t be afraid,” and with a snap of the fingers I wasn’t afraid any more. Life in God rarely, if ever, seems to work that way. Instead, what happened was that my eyes were opened to the things I was afraid of. That night in particular, I realized that I was afraid of 1) looking at my credit card statement, and 2) I was afraid of the dark. So with this new revelation that I was no longer a slave to fear, I immediately got online and paid what I could for the credit card. It wasn’t the entire amount due, but I paid what I could. And then I went into the bathroom, locked the door, and turned out the light. Like David, who ran toward the giant when everyone else ran away, for the first time, I decided to face my fears instead of run away from them. And there in that pitch-black bathroom, a real battle began. A spiritual battle. The most horrible thoughts I have ever had began to flood my mind. Images appeared - entire scenes where I would make myself a fool in front of people I love and admire. I would have terrible thoughts of being rejected by others. Thoughts of horrible things happening to me and my loved ones. On and on they went. 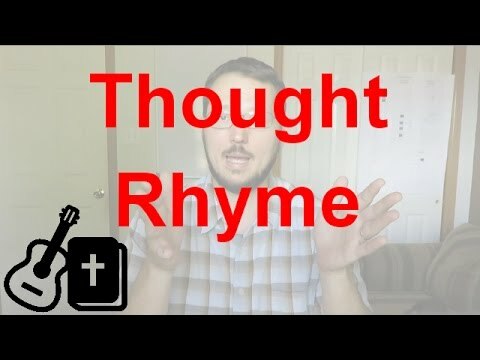 I reject those thoughts in the name of Jesus! I don’t know if I was in the darkness for 30 minutes or 5 hours - but I decided that I was not going to be afraid of the dark any longer! Jesus died to set me free from that fear! But after some period of time - something changed. I literally felt something change - like a straightjacket had been ripped off of me. And I knew it was a spirit of fear that was being kicked out of my life. And I wish I could say that the battle was instantly over. It went on for weeks and months- and every time I had evil, fearful thoughts, I would simply call on the name of Jesus. The battle was even taken into my sleep, where I would have nightmares of being chased, or of falling, or being attacked in some way. I remember the first time that I lay down in bed, and when I closed my eyes, there were no horrible images there. It had been many months since that first night. But they were just gone, and my mind was clear. The devil does not have infinite resources. He will flee when we resist him. Those fears and things still come at me from time to time, and I still resist them. It is much fewer and far between - but almost as if the devil just comes and knocks on my door to see if I’ll answer; to see if I’ll respond in fear. But when he does come knocking, I just let Jesus answer the door!